A recent symposium at the Smithsonian’s National Museum of the American Indian showed how the pressure is rising to change the name. Despite repeated requests from the museum, the Redskins refused to send anyone to make the case publicly that the name is anything other than a self-evident slur. Like their owner, the ham-fisted, rabbit-eared Dan Snyder, they celebrate the moniker only when no one is present to challenge them. 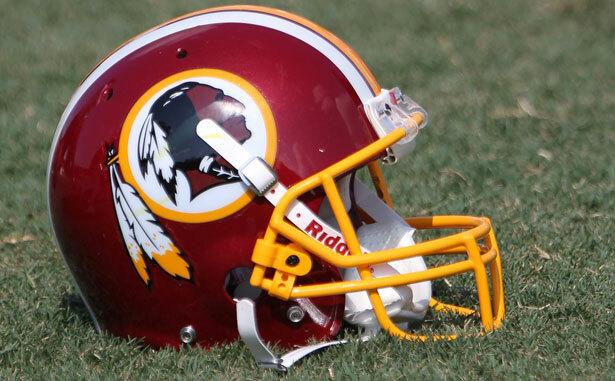 Since purchasing the franchise in 1999, Snyder has maintained that the name "Redskins” was a “tribute,” as former team Vice President Karl Swanson said, “derived from the Native American tradition for warriors to daub their bodies with red clay before battle.” This is not an argument they felt confident making at the Smithsonian because the laughter would have cracked the Capitol dome. The team name was the brainchild not of an anthropologist who advised on the fierce honor of the “red-clay warriors” but of team founder, segregationist and Dixiecrat George Preston Marshall. Senator Campbell said that he asks people, “How would you feel if the team was called the Washington Darkies?” George Preston Marshall would have felt euphoric because he adored minstrel shows and fetishized the confederacy. As Thomas G. Smith wrote in his book Showdown: JFK and the Integration of the Washington Redskins, when Marshall proposed marriage to his future wife Corrine, he did so “amidst fragrant honeysuckle while a group of African American performers [dressed like house-slave extras from Gone with the Wind] sang ‘Carry Me Back to Old Virginny,’” a song that speaks lovingly of how slaves love to see affection between their “Massa and Missus.” The Redskins were named for the minstrelsy Marshall adored and, as the southernmost team in the league at the time, to appeal to Dixie. They were also, surprise, the last team in the NFL to integrate. Despite this awful, seemingly entrenched history, there is change on the immediate horizon in the face and play of the team’s star quarterback, Robert Griffin III. RGIII hasn’t said a word about the team’s name but his very presence represents the greatest threat to Marshall’s legacy. Griffin is recovering from knee surgery after the finest statistical season of any rookie quarterback in the history of the game. The team won their division and, with the mercury-quick Griffin under center, also became must-see TV. Beyond just the swooning local sports writers, DC figures like Maureen Dowd, Marco Rubio, and President Obama all giggled with glee in RGIII’s glow. If the 23-year-old wonder said tomorrow that the team should be called the Washington Cuddly Snuggles, it would happen. But even if RGIII never says a thing, the better this team gets and the closer they come to the Super Bowl, the more this name goes from a quietly uttered embarrassment to a full blown national conversation. Do you think the NFL and Roger Goodell, on top of answering questions about concussions, lawsuits and the dwindling number of black coaches, want to talk about anti-Native racism? Even if Dan Snyder doesn’t want it to happen, it’s going to happen. As former Redskin Tre Johnson said, “It’s an ethnically insensitive moniker that offends an entire race of displaced people. That should be reason enough to change it.” It should be, but if you know Dan Snyder, you know it will take more. Maybe an RGIII shall lead us. Or maybe, as Curtis Mayfield advised about the very civil rights movement George Preston Marshall so vehemently opposed, we’re just going to have to “keep on pushin.” Either way, you might want to put your new RGIII jersey in mothballs because in the future the only place you’ll find Redskins gear will be behind glass; maybe at an exhibit at the National Museum of the American Indian. Read Aura Bogado's report on the ongoing threat to Native voting rights.